determining volatile acidity in wine. The chemical composition of olive oil can vary depending on factors like: parasite attacks, latitude, type of soil, plant variety, way olives are stored, etc. 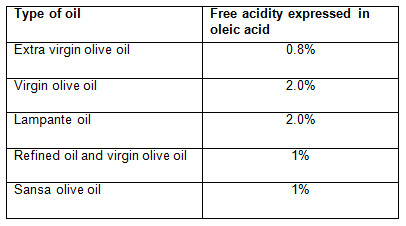 Oil is mainly made up of triglycerides, esters derived from glycerol with three fatty acids, and oleic acid (C18:1_9) is the most common fatty acid. If there is water present, lipases which are normally contained in olives can act on the oil to hydrolise the triglycerides releasing fatty acids and thus mono and diglycerides and glycerine are formed. 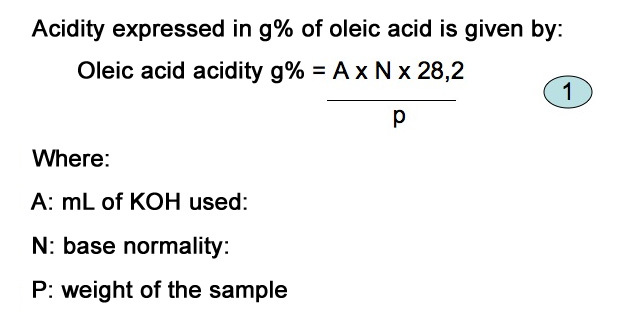 The determination of acidity in oil, therefore, measures the degree of hydrolytic rancidification. 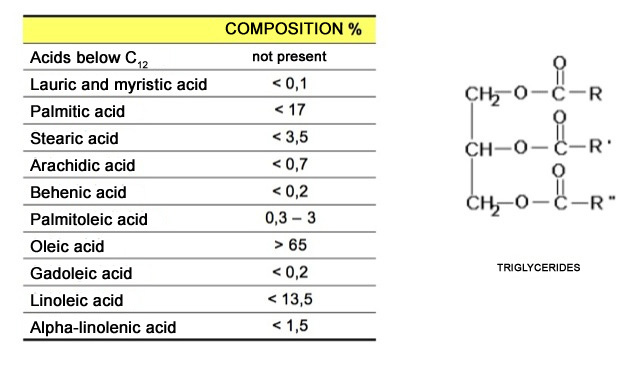 A sample of about 5g of oil is taken for analysis, and 80 mL of a mixture of ethanol and ethylic ether (at a ratio of 1:2) and a few drops of 1% phenolphthalein are then addes. Titration using a 0.1 M or 0.5 M KOH is continued until the solution turns pink. 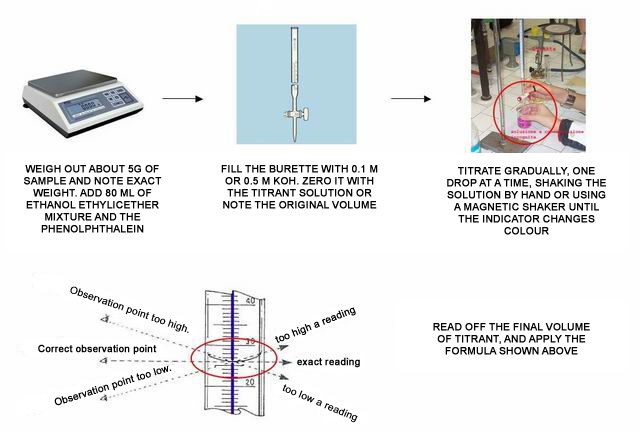 Imagine we titrated 5.12g of olive oil with a 0.1 M KOH solution and that the burette was not put to zero, but we know the original volume was 12.05 mL. If the final volume (read off correctly) is 16.20 mL, what is the acidity expressed in g% of oleic acid of the olive oil under analysis?